If you think that the wall, which separates the news from opinion in broadcast and print media, has been crumbling in the past decade or more, then sponsored content or native advertising is definitely not your cup of tea. HBO’s John Oliver in a “Last Week Tonight” segment dating back to August 3, 2014 had eviscerated this burgeoning concept taking hold in the broader publishing industry. In fact, one has to be very careful using traditional monikers of publishing, advertising and distribution in this evolving scenario, as these roles have become increasingly intertwined in the digital world and there is a certain amount of confusion pervading the entire industry with respect to who’s the buyer, seller and consumer in these roles. 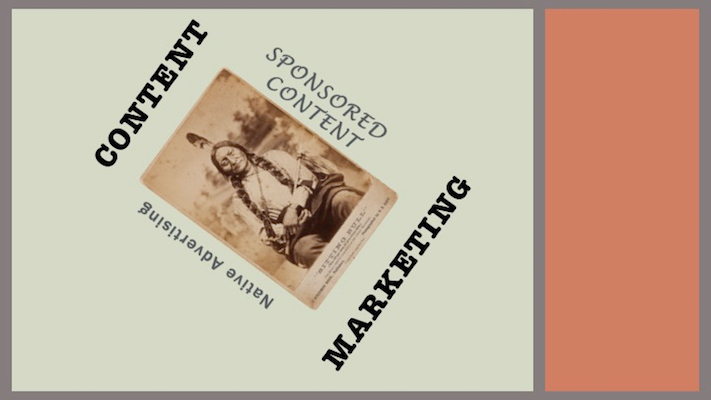 The Marketing Id agrees with Mr. Pulizzi’s semantics on the distinction between content marketing and sponsored content/native advertising. However, semantics aside, The Marketing Id also believes that Ms. Porter makes a fair distinction between sponsored content and native advertising, especially in the long sales cycle world of B2B, where sponsored content can be a useful channel to nurture a prospect along the path to eventually becoming a customer.